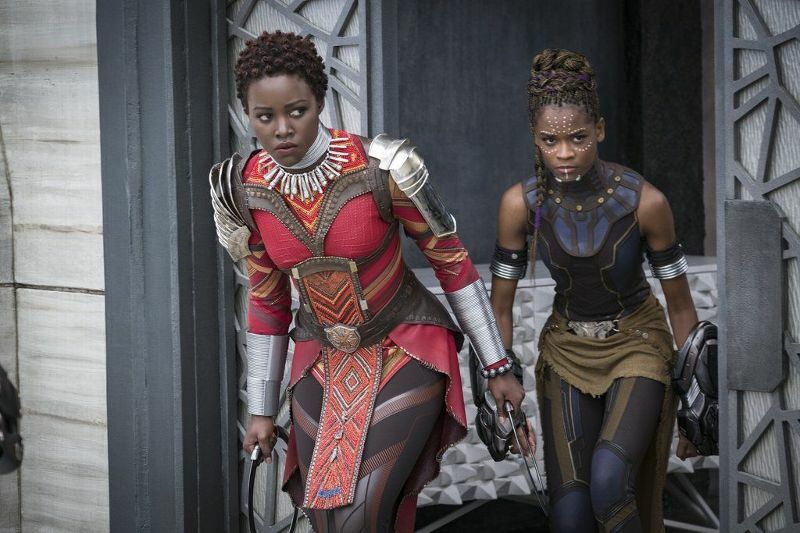 Nakia (Lupita Nyong'o), left, and Shuri (Letitia Wright) stand strong in "Black Panther." Marvel Studio's latest effort, "Black Panther," is a revelation. Packed with epic fight scenes, a marvelous villain, stunning cinematography, and the type of mind-blowing special effects that make a fictional world feel real. The film is unlike anything we've seen before. 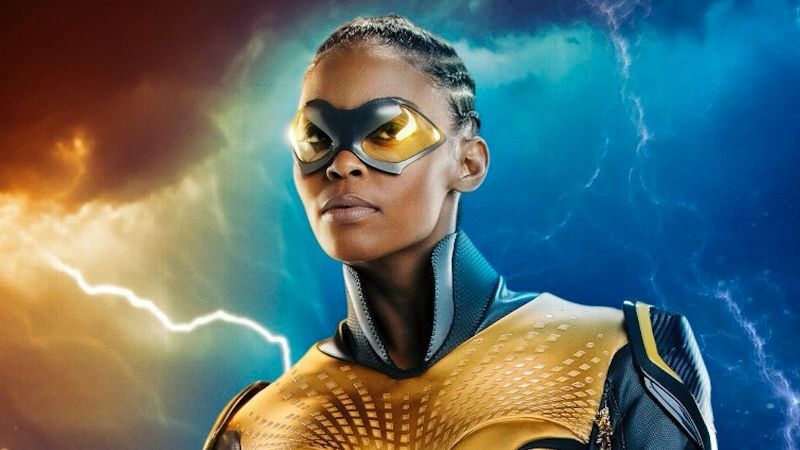 While superhero flicks are certainly not new, what sets director Ryan Coogler's project apart is the film's female stars, who are brilliant, beautiful and, above all, badass. Unlike other movies that sideline its heroines, the women of "Black Panther" are front and center and often steal the show. Starring Chadwick Boseman as the titular character, the film centers on the rise of T'Challa, who inherits the title of Black Panther after his father, T'Chaka (John Kani), is killed. Like the leaders who came before him, T'Challa is tasked with protecting the Kingdom of Wakanda, the fictional world in which the movie takes place. He must also safeguard the nation's supply of Vibranium, a rare metal ore that's used to power the country. Though scripted, T'Challa's mission to protect his nation's resources and sovereignty harkens back to real life Africa, which has been mined, exploited and occupied by colonizers for centuries. T'Challa refuses to let that happen to his homeland and must track down rogue arms dealer Ulysses Klaue (Andy Serkis) before he tells the world about Wakanda's mineral and technological wealth. While the Black Panther is undoubtedly the hero of the film, he is not alone. He is flanked by an impressive group of women who not only support his mission but are also integral to its success. His mother, Queen Ramonda (Angela Bassett), provides indispensable counsel to her son as he grapples with his new responsibility to lead. His former lover, Nakia (Lupita Nyong'o), is a spy who must balance her love for her country with her duty to help the vulnerable. T'Challa's little sister, Shuri (Letitia Wright), is the brilliant mind behind many of Wakanda's groundbreaking inventions. And Okoye (Danai Gurira) is not only the leader of the Dora Milaje, the king's all-woman personal protective force, she's also the general of the nation's army and T'Challa's leading intelligence officer. In Wakanda, there are no meek and silent women waiting to be saved. Instead, they are equal partners in the nation and the fight to protect it. "That was a source of great pride. It made me just peacock proud and puff my chest up because it was so phenomenal to see," Bassett tells espnW. "Whether it's the General or Shuri or the Dora Milaje, it was a wonder." "Black Panther" boasts a multitude of formidable black women, which isn't the norm, particularly for superhero films. 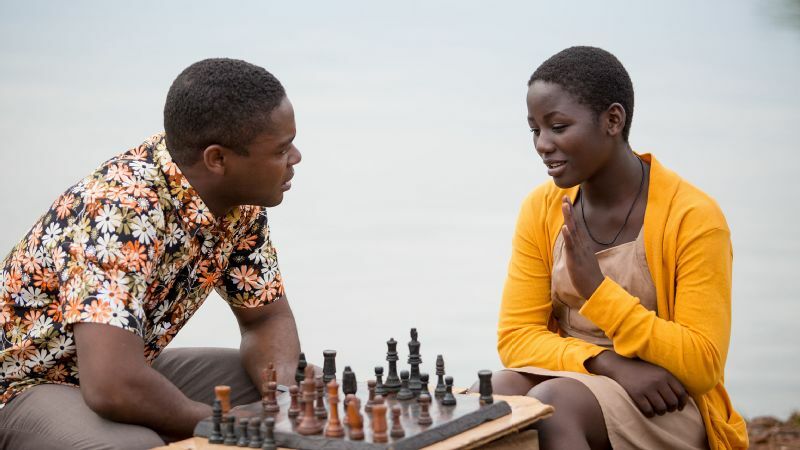 "When [Coogler] walked me through the story, I just thought, 'Wow, I can't believe this is a Marvel movie,' because it seems quite bold in terms of the themes -- and the storyline," Nyong'o told the New York Daily News. "I liked the way he was planning to portray the women -- that Wakanda was going to be populated with many influential women -- and Nakia was one of them." Gurira, who stars in AMC's "The Walking Dead," echoes her co-star's thoughts. "It's deeply refreshing. I'm around very interesting, powerful women all the time, but I don't see it on screen much," she says. "I'm surrounded by women who are doing amazing things, who strive with great purpose toward their goals, have agency and powerful work ethics. They never wait around to be saved by anyone else. I'm really excited to see those depictions coming to the screen." Because each of the dynamic female stars is distinct, they approached their roles in different ways. Prior to filming, Gurira, Nyong'o and Wright spent weeks training with the film's stunt team to get ready for the electrifying fight scenes. "It started off as four hours a day. Then it was reduced to two when I started bulking up," Nyong'o told The Hollywood Reporter. "We would have warm-ups together, then break off and do our individual techniques. Nakia is a street fighter, so I had jujitsu and capoeira and ring blades." Okoye (Danai Gurira) and the Dora Milaje help protect the Black Panther and all of Wakanda. Though Shuri spends most of the time helping T'Challa from her tricked-out lab, she isn't afraid to put her life on the line to defend her country. Because of this, Wright had to train to jump into the action. "I did a lot of hand-to-hand combat stuff," she says. "It was not crazy, it wasn't grueling, but it was cool to learn how to fight and get prepared. It was tough, but we got through it." Gurira, who has undergone sword training for her "Walking Dead" role, thought the transition to wielding a spear would be similar, but soon found that it presented its own challenges. "To an extent, there was some overlap, but it was also very distinct," she explains. "It was a lot of hard work and there were times where I was like, 'I'm never going to get this twirl.'" The beauty of "Black Panther" is that all the characters bring their unique skills and talents to the table to reach one goal -- protect Wakanda. And according to Gurira, the seeds were planted as they learned to fight. "You would look at the room and the Dora Milaje were training one way, Chadwick was training another way, Lupita was training another way, Letitia was training another way, and Michael B. Jordan [who plays villain Erik Killmonger] was training another way, and we each had different folks we were working with," she explains. "It was a beautiful array of who these people are and how they choose to engage in combat." As the Queen Mother, Bassett, who has played iconic women like Tina Turner, Rosa Parks and Malcolm X's widow, Betty Shabazz, didn't have to take down foes with her bare hands. But she did draw inspiration for Ramonda from a real place. "I looked at footage and images of Nelson and Winnie Mandela," she says. "They were king and queen for us. The sacrifices he made, a king would make for his people. And what she sacrificed -- being under arrest, in solitary confinement, house arrest, and attempted to be driven mad -- it was the nearest embodiment of what that looked like to me." "Black Panther" isn't just Marvel's next box office hit, for many it's revolutionary. 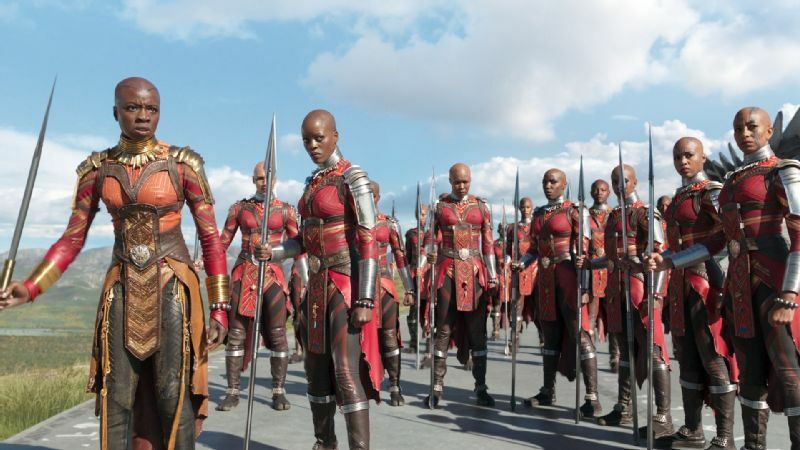 While black on-screen superheroes have existed before -- Blade, Hancock and Storm, to name a few -- there never has been a major motion picture that highlighted the beauty of the African continent while also featuring so many black women in prominent and heroic roles. "This movie is doing a lot to bash stereotypes and preconceptions about who we are, and it will also do a lot to inspire us and show us in a light we've not often been seen in," Bassett says. Gurira, a playwright whose most celebrated work, "Eclipsed," ran on Broadway, often pens narratives about various African experiences. She said even though "Black Panther is about a fictional nation, it celebrates the beauty of the continent." "There is a lot that you do not see of the continent on a large scale, so very frightening stereotypes have been allowed to perpetuate over time without them even coming from the source," she says. "A lot of what is pulled from in the imagery [of the film] is pulled from actual examples across the continent. So, there's something very celebratory about it." 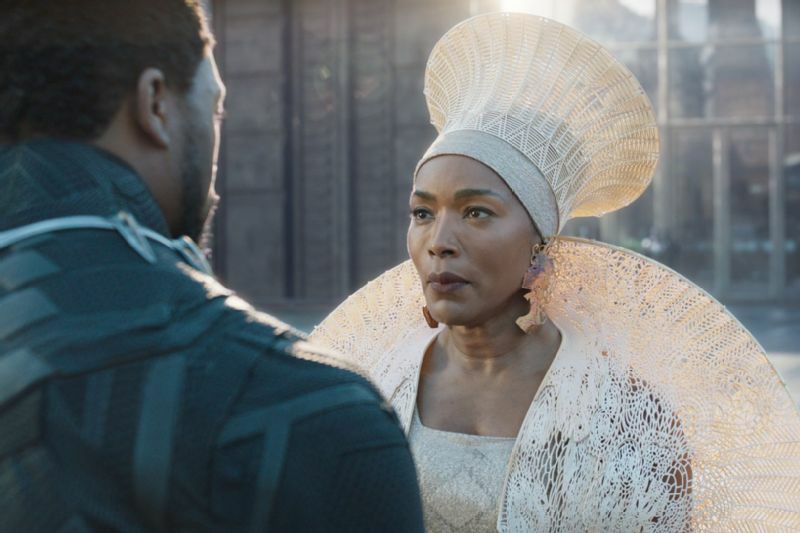 Queen Ramonda (Angela Bassett) faces her son, T'Challa/Black Panther (Chadwick Boseman). The action-packed scenes of "Black Panther" will keep viewers on the edge of their seats but traveling to Wakanda will blow them away. With its cotton-candy-colored skies and sweeping landscapes, the beauty of the nation -- and Africa -- is on full display. "It was just surreal to see the continent this way. We're used to seeing one type of image all the time," Wright says about seeing Wakanda for the first time. "The film brings something different to the table." "I remember growing up and thinking Africa must be really groovy because Muhammed Ali was going there," Basset admits, but says non-stereotypical images of the African continent have been few and far between. She feels passionate about the progressive depiction presented in "Black Panther" and about the vibe the cast and crew cultivated on set. "Another time I felt this good was on the set of [Spike Lee's] 'Malcolm X,'" she says. "Malcolm X was a bit of a superhero, in a way. But that was for that day, and ['Black Panther'] is for this day. And this day is marvelous." Bassett, the mother of 12-year-old twins, hopes this feeling of pride will carry over to young people, particularly black girls. "I hope that they will feel so wonderful about their aesthetic. All of the different variations of beauty portrayed on the screen in terms of hair or no hair, color, physical strength and mental agility, I hope they get that," she says. "[This film] is a testament to the lineage that we come from and how we want our daughters to see themselves. They are princesses, and our sons are princes."